We all suffer with creative block now and again. Fortunately the internet is a great place to find inspiration from other animators, artists and curators. Here’s a site that’s sorted out my coffee break on many an occasion. Short of the Week champion the bite-sized story, serving up quality international content on a regular basis. Their animation section is healthy and varied, and because of their curated model, you never have to wade through any duds. Inspiration here comes from the sheer diversity of storytelling technique on display. Pinterest is often our first stop when it comes to looking for references, ideas and inspiration. It’s a well-established gathering place for animators and creatives of many disciplines to instruct, show off, or critique. Something about the design of the site just really appeals to me, too. It can be a bit intimidating at first, with its multiple columns of pictures and .gifs all over the page, sure. But by now I’ve come to love scrolling away, poring over hundreds of posts until that ‘something’ grabs my attention and demands that I stop. 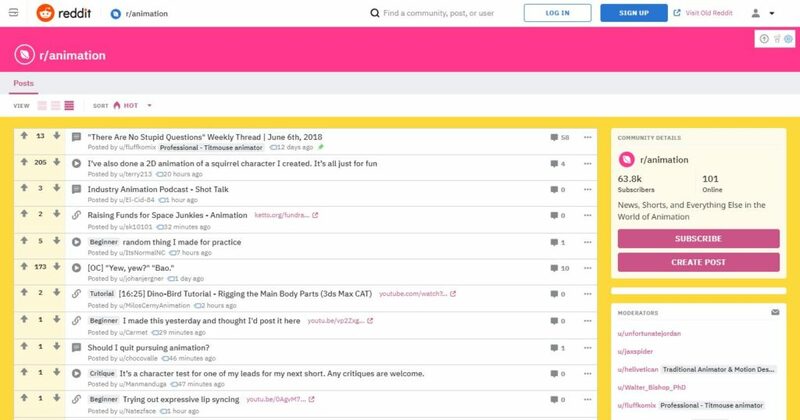 For those not familiar with the format of the above, r/animation is a Subreddit on Reddit.com – one of the world’s most popular news, sharing, and communities hub. 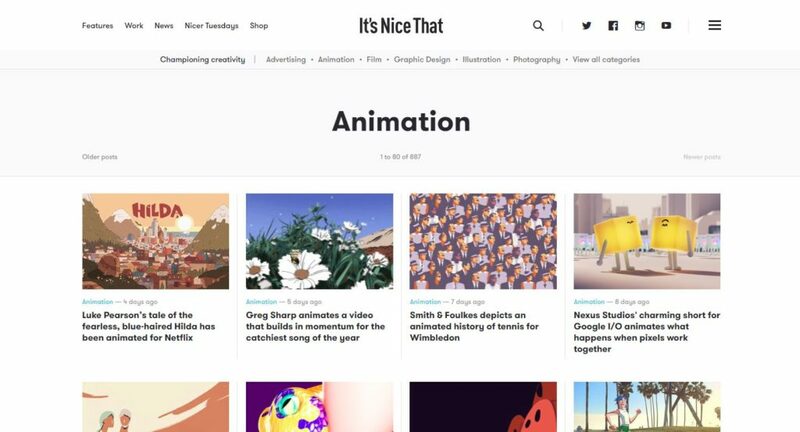 The Animation page here has over 60,000 subscribers, so you’re bound to find someone sharing something cool, offering critique, or letting you know about some hot animated news. As with most things completely community-driven, it’s a little hit and miss on the quality front. But hey, that just means you have to jump in and get contributing yourself! One of the prevailing advantages offered by CB is that it’s a hub for inspiration that also boasts a hefty ‘How to’ section for all creatives, no matter how advanced they are in their craft. The articles go from ‘Look at this awesome thing!’ To ‘How to understand colour theory.’ or ‘10 essential skills for graphic designers.’ Newbies can be gripped by inspiration and get started straight away without ever leaving the site. Newgrounds was a huge part of animation internet history; for a while in the early 2000’s it was THE place to go to find new flash animations being shared by amateurs and for animators and animation fans alike to gather. It’s where people like Legendary Frog and Egoraptor made their names with hilarious parody animations, as well as being the place where early viral phenomenons like the Numa Numa Dance video made their debut. Nowadays, admittedly, the rolling boil surrounding Newgrounds has reduced to a busy simmer. However, don’t let that put you off one of the most vibrant, passionate and diverse animation communities on the web. 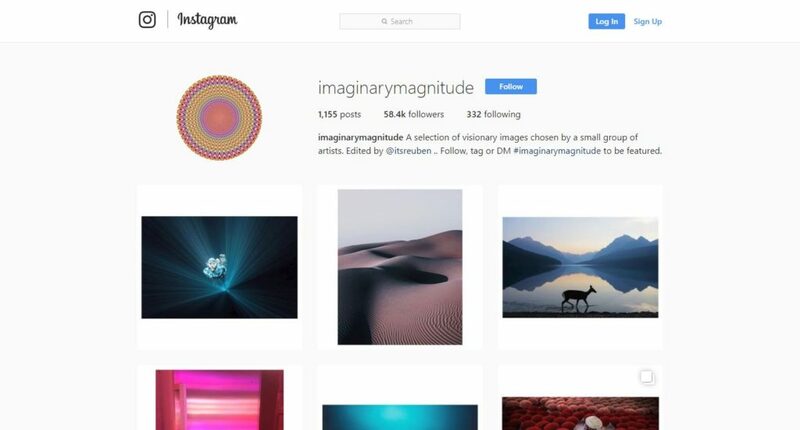 More of an online magazine than some of the other’s I’ve chosen to share today, iGNANT features a curated selection of art, design, photography, fashion and architecture from established as well as emerging talent. It’s got the vibe of an art gallery in website form. I feel like I should be peering at my screen and scratching my chin thoughtfully every time I visit. If you dig the minimal, reserved style, this could easily be your new home. Aside from having the best name amongst my roster of inspirational sources today, It’s Nice That is also a great place to head for blending creative inspiration with information about opportunities in the creative industry. There’s a broad range of engaging work on show that also touches on how creativity intersects with business. As you might expect, their advertising section is especially robust. You can find us in the animation section, which is no slouch either! Whilst we’re talking social media… There are buttloads of communities on Facebook and LinkedIn, all with various niches, sizes and levels of activity. Animation communities on social media are great for finding people in your local area to share your love of animation with, too. Why not punch in your local town and see if there are like-minded animation heads who organise meetups? Shout out to FRAMES, organised by our very own Dan, come along and say hi if you’re in the Surrey area! AWN is a sprawling hub of animation activity, reportedly the largest animation-related publishing group on the internet. After one look at their homepage, you’ll not want to disagree. They’ve got animator profiles, independent film distribution, commercial studio activities, licensing, articles on CGI and other animation technologies, interviews, as well as in-depth coverage of current events in all fields of animation. There’s already enough to get you utterly lost for the rest of the day, but do check out their forums anyway. Here you’ll find an active group of animators and fans engaged in lively debate, sharing their creations, or organising collaboration projects. My favourite spot is the charmingly named ‘Animation Cafe’, because it really evokes a cosy, casual space for animation fans to just relax and chat. WePresent celebrates and showcases a beautifully designed cascading wall of art and design, offering not only a heaving pick ‘n’ mix bag of eye candy, but the thoughtful and inspiring context behind each piece. The text that accompanies each image or .gif contains dialogue rather than a headline or title. This alone posits a more personal tone. These objects of beauty and aesthetic are human creations with human stories behind them, WePresent reminds you..
That little blob in the corner is one of the simplest, pared-down representation of a menu reveal button. Its blobby pulsation when moused-over just begs a click, and with a beaut of a menu that pops out, instant gratification awaits. Web designers, please get rid of those ugly hamburgers that are all over the place. For the busiest of you, at least try to jump on for a peruse of their dedicated animation section every once in a while! Any animator worth their salt knows of The 11 Second Club. It’s essentially a monthly character animation competition where a line of dialogue is provided for download, and all you have to do is animate your character in the most imaginative, polished, or bonkers way you like. 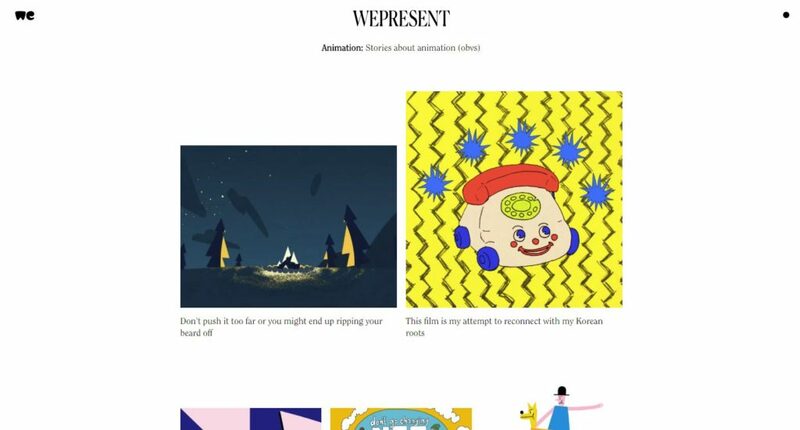 Even if you’re just an animation fan, don’t sweat, there’s a robust archive of past winners to peruse. Great resources like these are few and far between. The designated line of dialogue puts animators from all around the world on even footing: you can do CG, stop motion, claymation, hand-drawn animation, anything you’re comfortable with. Now then! I’m sure your bookmarks folder is begging for mercy by now, quaking under the sheer weight of creativity you just stuffed in there. You’re welcome. The 5 Best Tips from Creativity Inc.